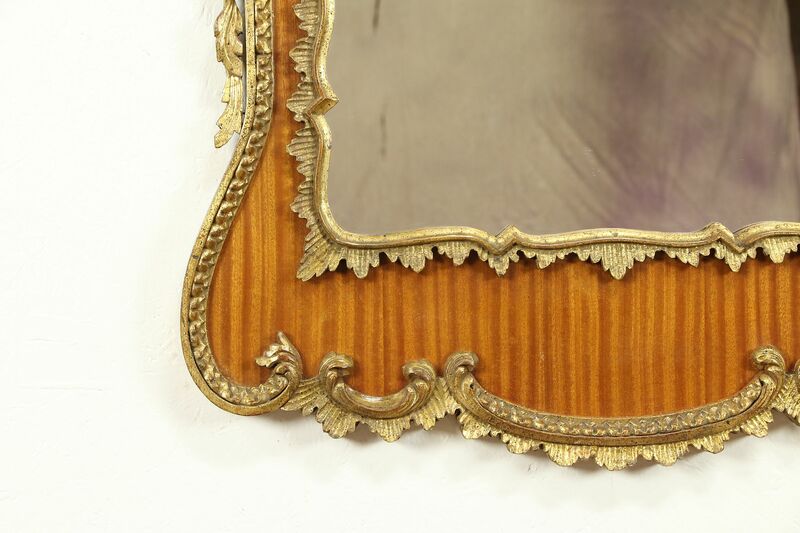 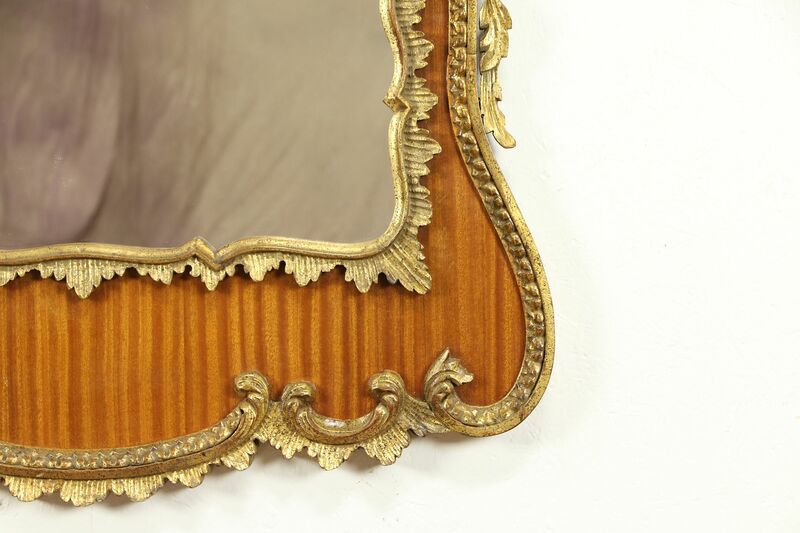 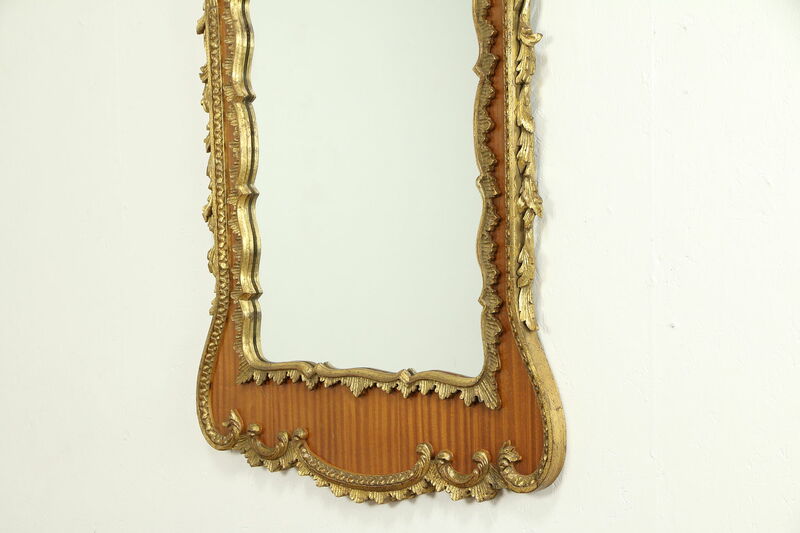 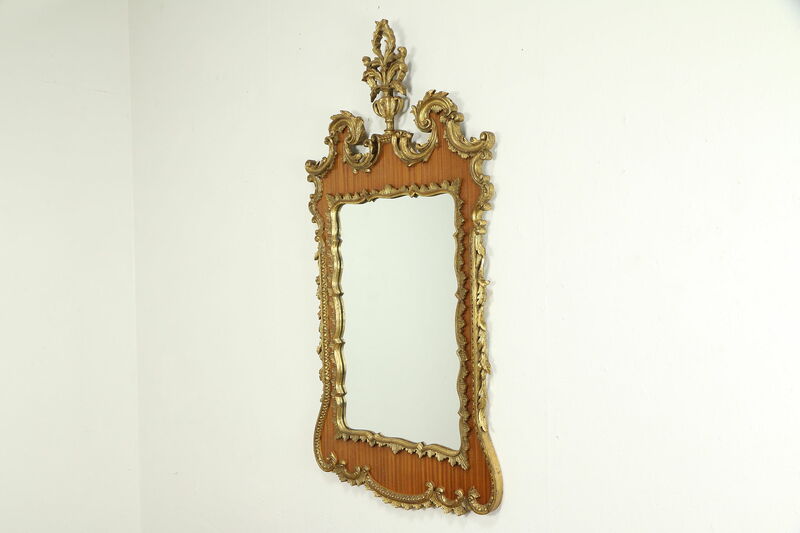 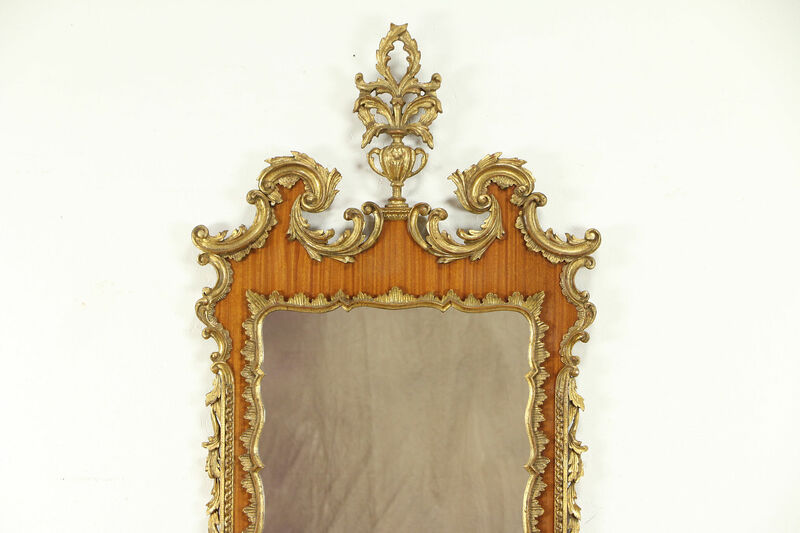 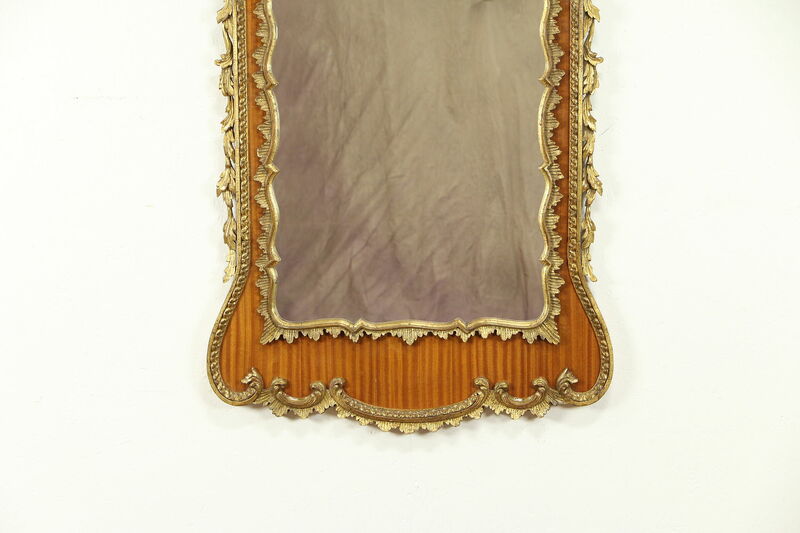 A palatial and dramatically carved mirror from about 50 years ago is mahogany with distressed "antique" gold, signed "Made in Italy." 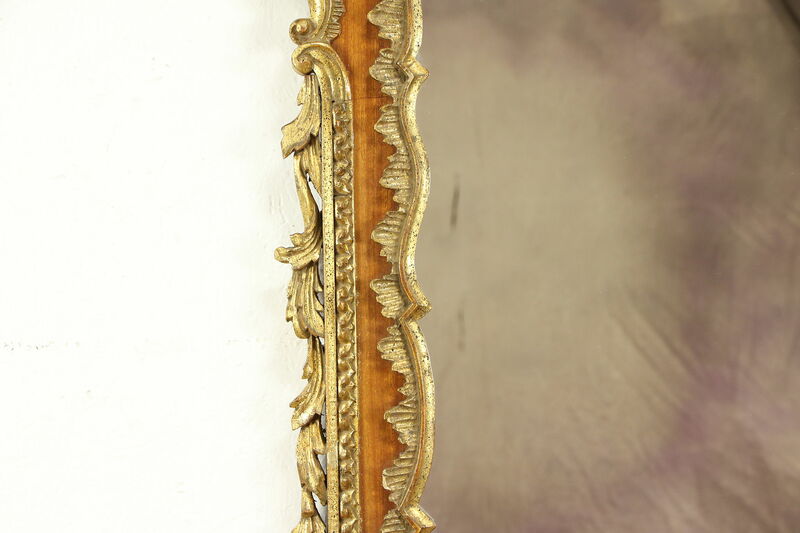 The original finish is very well preserved on this vintage furniture. 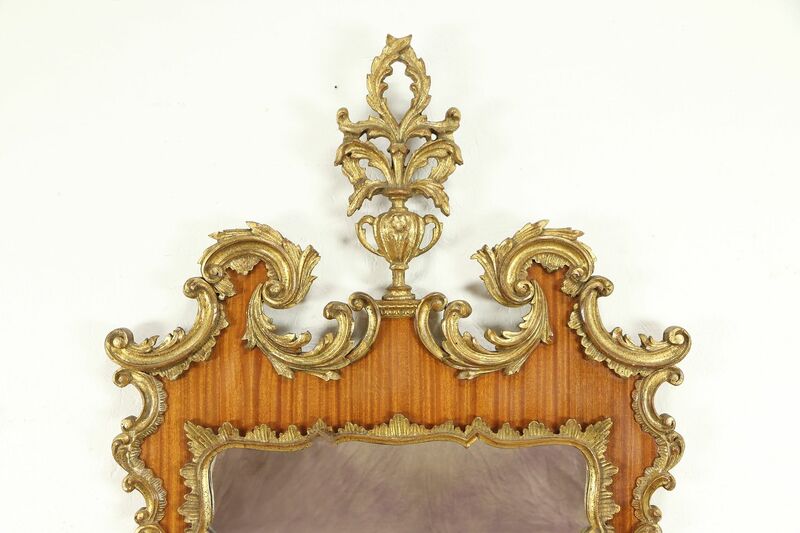 Tiny matched pieces of the curls to the right and left of the center crest are missing, see photos. 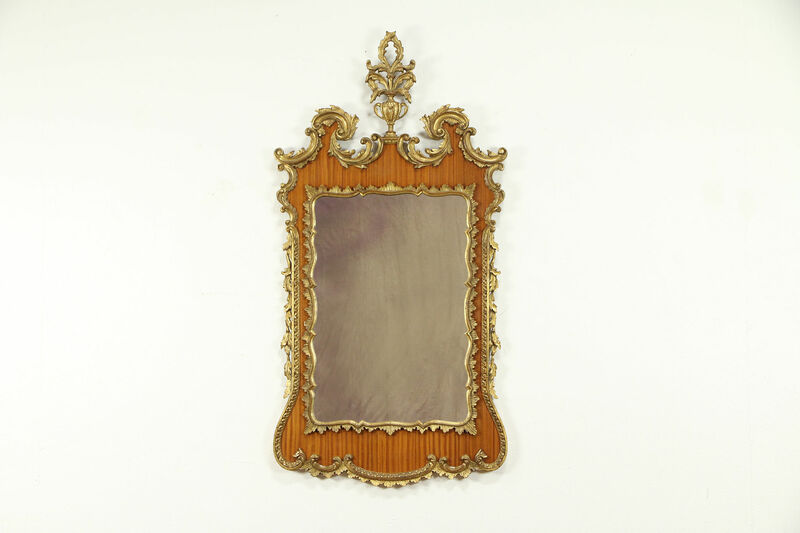 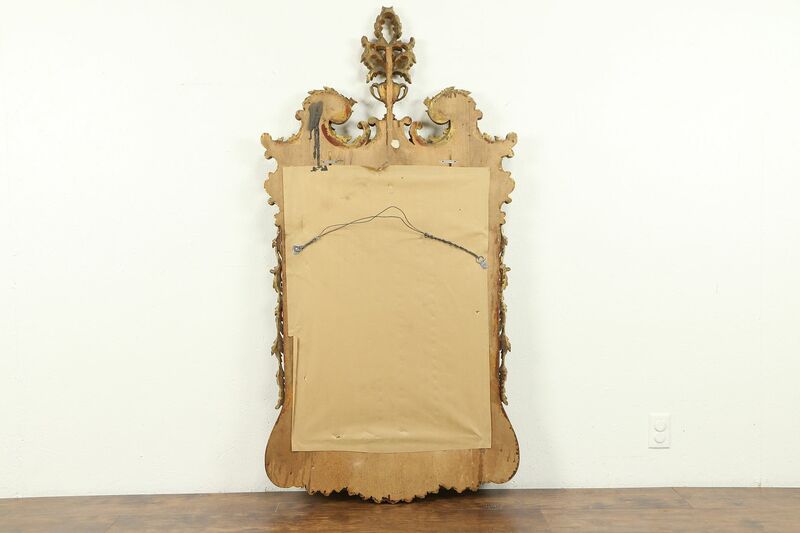 This mirror was bought from famed designer, Carlton Varney, for a corporate headquarters. 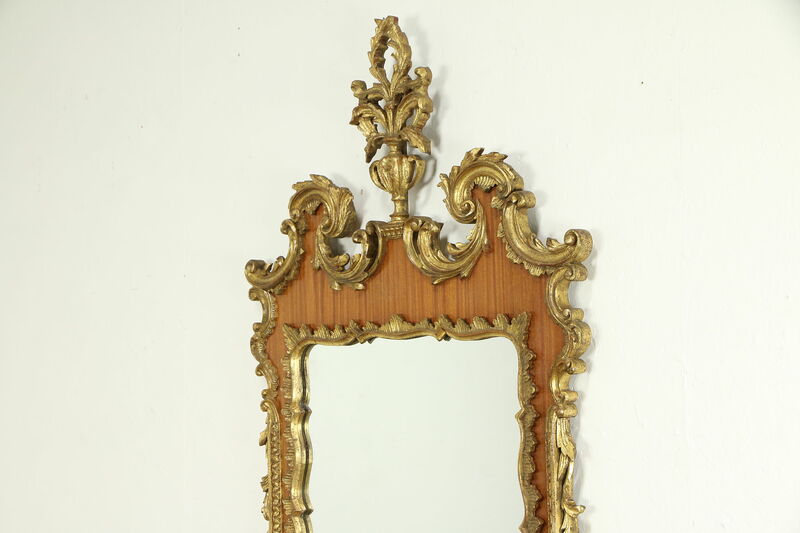 Measurements are 32" wide, 62" tall and 2" deep. 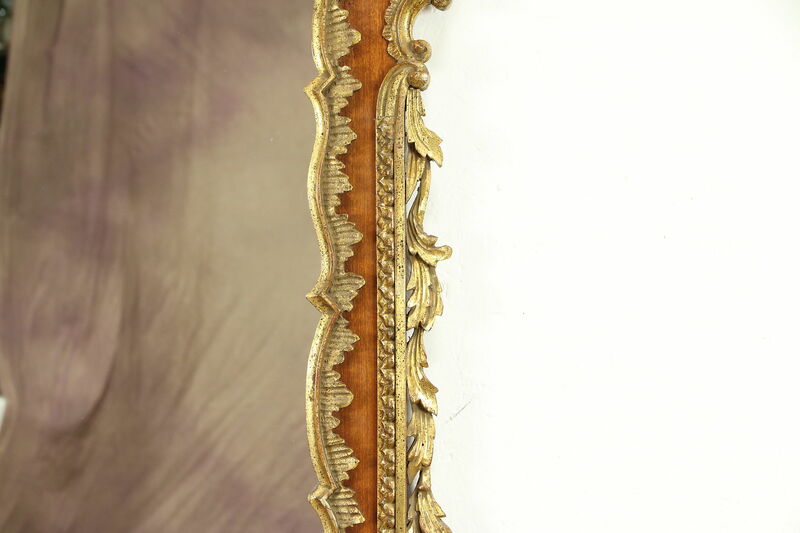 Please view 12 photos at full screen size for best detail.